Every corner in every town in Italy breaths history. So, there is no surprise, that there is always something to see in every province. 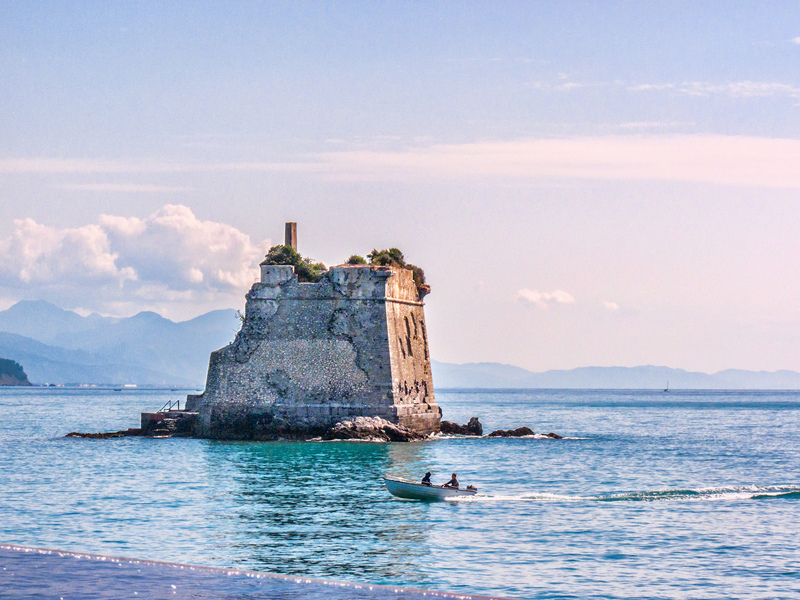 The Scola tower showcases history, tradition and architecture, like many other local monuments. 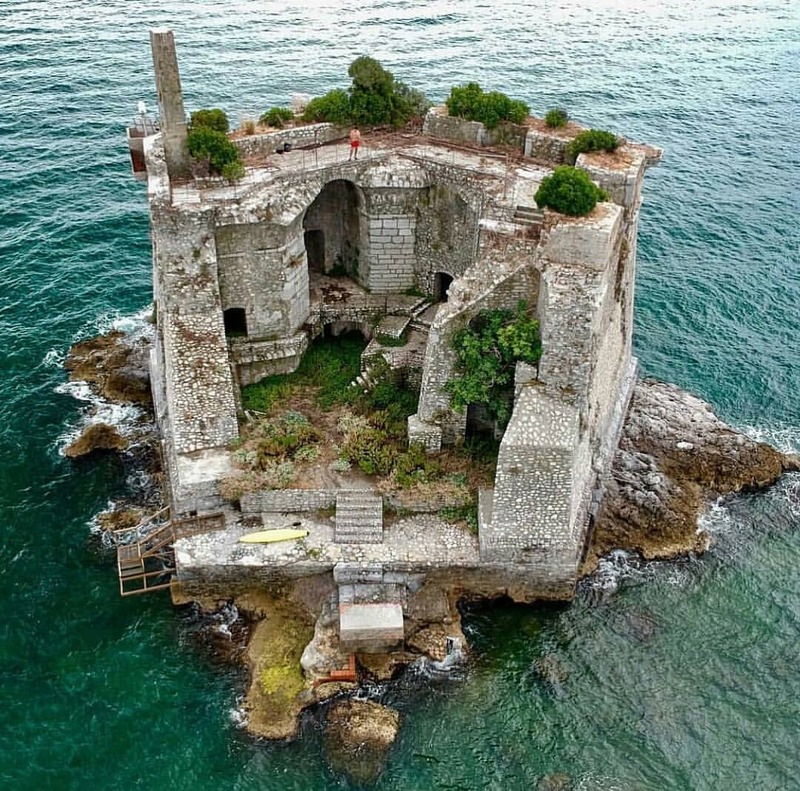 Located in The Gulf of Poets, La Spezia Italy, the Scola Tower stands over 42 feet tall in the sea. Built in the 17th century, the tower was originally designed, as part of a defensive system for the Senate of the Republic of Genoa. 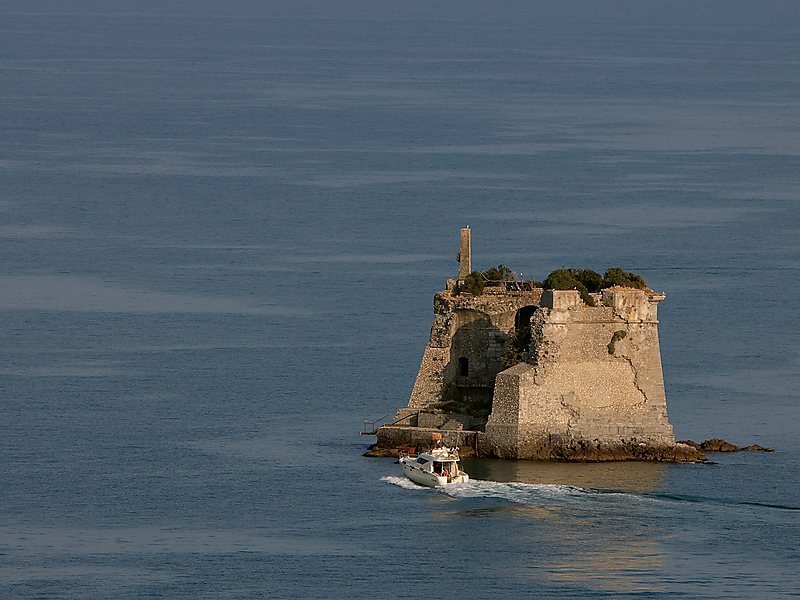 The tower is one of the many, built on the Ligurian coast, in order to provide protection from the enemies. Early chronicles claim, that the construction has cost more than 60,000 pounds and became a permanent residence for six soldiers, a bomber and their commander. At the time, the fort was named Torre di San Giovanni Battista; Tower of St. John the Baptist. The Scola Tower has a pentagonal shape and a wall thickness of approximately 4 feet. In fact, this may be the reason, why part of the architecture of the building has survived. Unfortunately, the battles held between Napoleon and the British in 1800, damaged the tower structure almost entirely. There was no other choice but to abandon it. As time passed, national threats disappeared and the tower lost its defensive purpose. Moreover, officials found it so useless that, in 1915, they planned its demolition. Luckily, the Ministry of Public Education Ubaldo Mazzini acknowledged the historical value of the fortification and decided to save it. Throughout the 20th century, the building was constantly restored and turned into a popular tourist attraction. The nature creates an unforgettable setting around the tower, so exploring it gives unforgettable memories to visitors. This seemingly remote construction rises from the sea, as a reflection of warfare and reminds us to be grateful for peace.